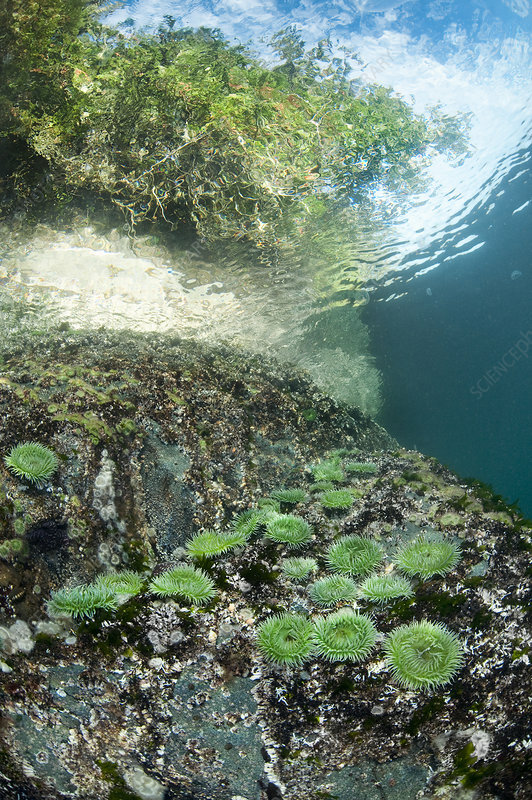 Green surf anemones (Anthopleura xanthogrammica) grow in shallow water below the temperate rain forest. Browning Pass, Port Hardy, Vancouver Island, British Columbia, Canada. North East Pacific Ocean.